Its natural beauty led the Swedish government to declare the island of Blå Jungfrun, often translated as ‘Blue Maiden’, a national park. However, there is a dark side to this site and the island has a bad reputation in Swedish folklore for being a place of evil magic. Archaeological discoveries made in recent years on the island may provide an explanation for these local beliefs. Blå Jungfrun is an island located in the Baltic Sea in the southern Swedish county of Kalmar County. 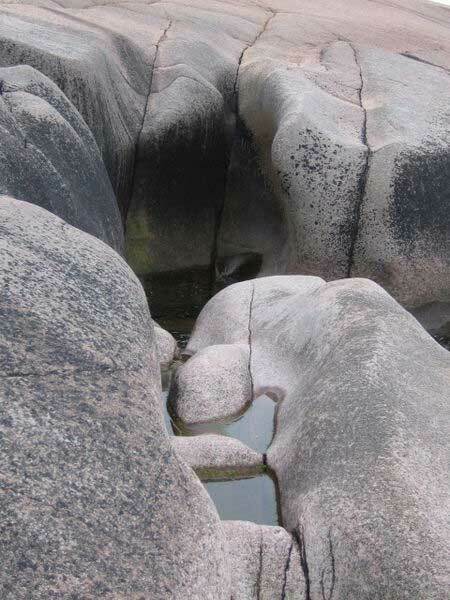 Geologically speaking, it is comprised of blue granite. The small island has a length of about 1 km (0.62 mile), and is dome-shaped, rising 86 meters (282.15 ft.) above the waters of the Kalmar Strait. In terms of flora and fauna, parts of the island (especially the southern area) are covered by broad-leaf deciduous trees, such as oak, lime, maple, and aspen. Lichens, birds, and various species of insects also thrive on the island. It was designated a national park in 1926. Despite its rich biodiversity, this location is, according to local folklore, an ominous place. As a matter of fact, people have even avoided calling the island by its real name, which is Blåkulla. Those sailing close to the island, in particular, abstained from using the name Blåkulla when referring to the island, as they believed that storms would brew up immediately if they used it. It was due to this that the island became known as Blå Jungfrun instead. View from National park Bla Jungfrun, Oskarshamn municipality, Sweden. (Anchor2009/ CC BY SA 3.0 ) Swedish sailors have avoided calling the island by its real name. More sinister is the association of the island with witches. According to local folklore, which dates to at least the 16th century, witches would gather on the island on Maundy Thursday (the day before Good Friday) to meet and worship the Devil. It has been suggested that the association of the island with witches may have been brought about by its ominous appearance. Another local legend states that the island is home to certain female supernatural beings. People would leave votive offerings, normally articles of clothing, on the shore of the island in the order to appease these beings, and to gain their favor. 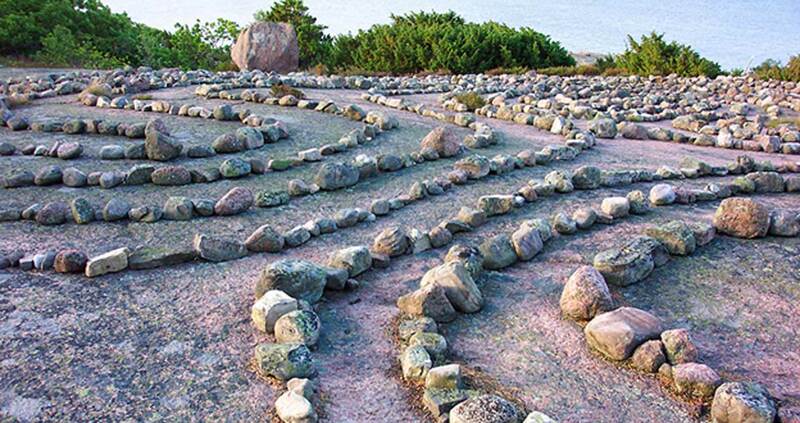 Yet another belief in the island’s magical power relates to the so-called Trolleborg labyrinth, an ancient stone labyrinth found on Blå Jungfrun Island. According to locals, anyone who removes the stones from this labyrinth would be cursed with a lifetime of ill fortune. Today, the stones of the labyrinth are not only protected by this curse, if one believes it to be true, but also by the law, due to the site’s status as a national park. Whilst nobody knows who made it or when this labyrinth was created, it has been widely speculated that it was used in ancient times for ritualistic purposes. It has also been claimed that the setting up of such labyrinths on the island was common in the past, and that people would walk in them for good luck. Archaeological studies in recent years have demonstrated that ritual activities were likely to have been carried out on the island in prehistoric times. Two caves in which rituals were potentially performed were identified in 2014. In one of these, a feature that may have served as an altar was identified, whilst in the other, human modification of the cave suggests that the area could have been used as a sort of ‘theater’ or ‘stage’ for ritual activities. If Blå Jungfrun Island was indeed used for ritual activities in prehistoric times, then the tales told about the island’s magical properties may indeed have some grain of truth in them.